I've been on hiatus the past couple of weeks doggie and house sitting for some friends in Murrieta. Upon my return, a list of honeydews and neglected chores greeted this nanny warrior: back at it now. Latest total adult Monarch release count for the season: 21. Tony Gomez from Minneapolis, Minnesota, has been an inveterate student of butterflies and a raiser of caterpillars -- especially monarchs -- for the past 40+ years, according to his web site. 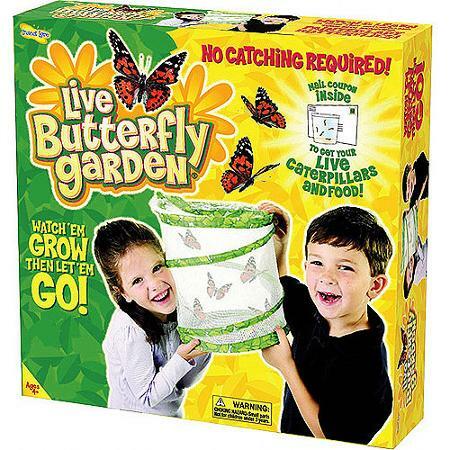 A deep fountain of information on planning a butterfly garden and raising caterpillars, his Caring for Baby Caterpillars is the first in a new how to series. Some seasons, caterpillar predation by various diseases, predatory wasps, parasitic flies, etc. are especially problematic. The caterpillar mortality rate in the Container Butterfly Garden has been astronomical this year, and as the season progresses, has gotten worse. I went out into the garden recently to harvest some milkweed for one, lone, 2nd instar, that happened to show itself a few days before, and for two tiny 1st instars that hitched rides into the house on some propagation cuttings I started. Simultaneously looking for Monarch eggs, found only one. There were some empty shells, meaning a predator has been attacking the eggs themselves, or has been pouncing on the newly emerged cats. Could be wasps, or some other bug that is lurking unannounced amongst the plants. Pathogens such as Oe and bacterial infections can be moderated. The hard part is mitigating predators such as tachinid flies and braconid wasps. Two ways are to harvest eggs and place found caterpillars in some sort of cage or container to keep predators at bay, if they haven't been compromised already. For more info how to raise eggs and cats, make your own cages, for different container ideas, or purchasing ready-made, head on over to Raising Butterflies--How to find and care for butterfly eggs and caterpillars. Butterfly kits make great children's presents, helping to teach them about nature firsthand! 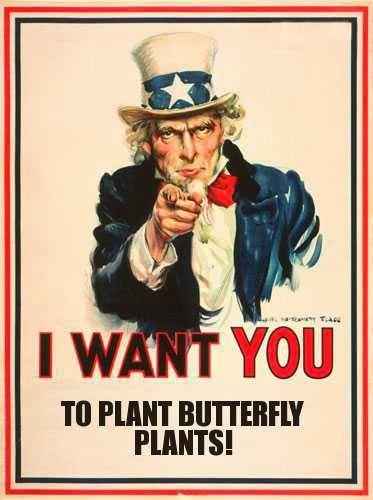 "Laguna Beach mayor pledges to help save dwindling monarch butterfly species" -- WHAT? Oopsie! Meant to type in "Topeka". Read here how the city of Topeka, Kansas is installing monarch way stations within their own parks and common areas.